Is My Water Supply Contaminated? Bad Taste, Smell, or Appearance? When properly constructed and maintained, water wells typically provide years of reliable service, but all wells eventually deteriorate or suffer damage. When well failure occurs, surface contaminants are likely to enter and foul the water supply. In addition, the groundwater itself may contain excessive levels of heavy metals and other chemicals that pose a health threat. 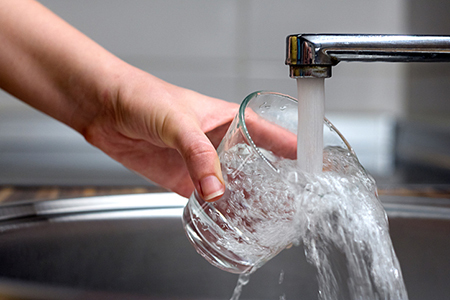 Sometimes contamination is indicated by an unusual appearance, taste, or smell of the water; however, the most serious health threats are undetectable by casual inspection. Contaminants such as coliform bacteria and high nitrate levels in your water supply can only be detected with laboratory testing. Most public water supplies are regularly tested for a wide range of pollutants and contaminants; however, if you are the owner of a private well, it is your responsibility and duty to all who will use the water to have regular testing completed. If a defect is discovered, such as a crack in a casing, promptly repairing and/or improving your well will help keep your water safe and avoid the exorbitant cost of having to install a new well. Appalachian Home Inspections LLC offers a wide range of water testing and well inspections to help keep your family safe. Contact Dale to schedule an appointment at: (304) 614-0636.